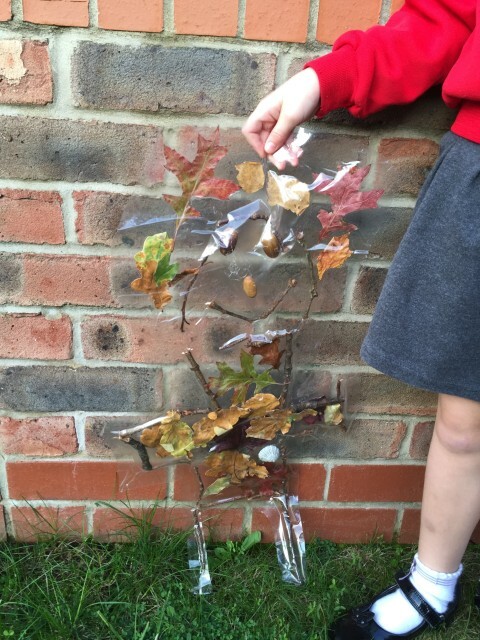 Hannah has been busy making leaf people and stickmen at school this week, but got a bit upset when a lovely stick and leaf man she’d constructed in the playground got broken so we used sticky back plastic to make him a more permanent fixture. Mr Leafman has been to school, slept next to her in bed and even had dinner with us. We made a couple of mini leaf men too, what do you rhibk? These are so easy to make and my girls adore them. It’s also a great excuse to get outdoors and enjoy beautiful Autumn colours, crunchy leaves underfoot and fresh cold air. 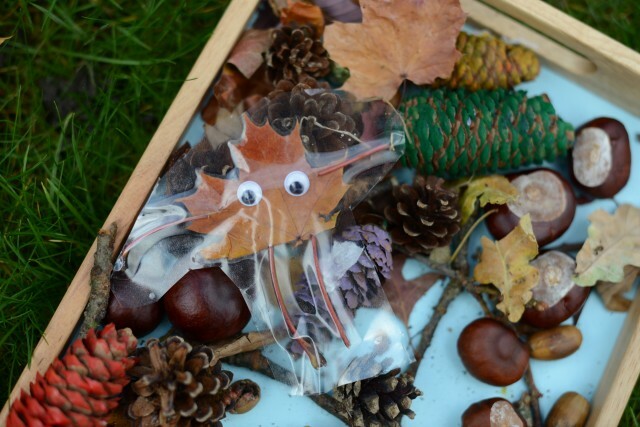 If you like our leaf men you might like our Stick Man ideas over on Science Sparks. The leaf men are very cute, I especially like the mini one! I think my niece would enjoy making these. A walk in the woods followed by a bit of crafting might be on the agenda for this weekend! Cass@frugalfamily recently posted..11 tricks and tips to help you save money on your make-up…. what a lovely idea. I love making things last that bit longer.